Next Tuesday (April 12th), at Facebook’s F8 conference in San Francisco, the social network is to open up Instant Articles to every single publisher in the world. Instant Articles, which was launched last May, started a revolution into Facebook’s relationship with journalism, and how users consume journalism on social media. Publishers including the BBC, The New York Times, BuzzFeed, The Guardian and MTV have been utilizing Instant Articles, which hosts content produced by those organizations on Facebook. In a blog post from earlier this year, Josh Roberts, a Product Manager for Facebook, said opening up Instant Articles would allow users to be connected to content and subjects they cared about. As the social network prepares to open Instant Articles up to the world’s publishers, it comes at an interesting time for the relationship between social media and journalism, where content has become the strategic core of engaging new audiences to platforms. This is particularly the case for not just Facebook, but also Twitter and Snapchat. Twitter introduced Moments late last year as CEO Jack Dorsey tries to increase the amount of users, while Snapchat has been trying to make its Discover feature more accessible to users, with potential changes coming as early as next month. This also comes as the satirical news site The Onion becomes the latest publisher to join Discover. Separately, Facebook introduced late last year to iPhone users a notifications app called Notify, with content from organizations including CNN and The Weather Channel. However, this relationship has been beneficial to publishers and news organizations, who have been presented the opportunity to engage with new audiences alongside retaining current ones. At the same time, it has raised questions on the quintessential social strategy to have the most impact and potential for audience engagement. As Facebook and other platforms continue to try to increase their audiences and change user experience, journalism has become part of the equation of the future of social media. The business of social media has now become a fundamental component of the business of journalism, and both businesses have one thing in common — they are constantly evolving. One thing however is for certain in this ever changing, yet mutually beneficial relationship. It has established that there is always going to be a need for journalism and those who work in it. The platforms may change, but there is always going to be a need for people to analyze and make sense of the day’s events, irrespective of beat. Here, Dawn Walton of CTV Television in Canada considers the role Twitter has had in the culture of journalism and the broader culture of storytelling. A late adopter of Twitter, I only started tweeting in 2010 when the newspaper I worked for suggested it might be a good idea for those of us covering the Winter Olympics. I didn’t really understand how it worked – or the point – but now, 15,500 tweets later, it’s the first website I read in the morning. I’ve also come to learn a thing or two about what Twitter has done to journalism for the better – and worse. It has, in some cases, made the jobs of journalists, easier, but at the same time, some journalists, lazier. Confirmation of deaths, and condolences, appear in real time. Why call anyone or knock on doors when you can comb through, and then Storify, tweet reaction? You can instantly see trends in your region, country and the world. But just because something happens on Twitter, it doesn’t mean it’s a story. Nobody, however, has quite figured out the formula to tell the difference. But 10 years in, Twitter has firmly planted itself in the media – and public – consciousness. Want to gauge the impact of David Bowie’s death? Skip the publicist. Go straight to Twitter, where every social media conscious celebrity tweets – along with their fans. Never before would we have known how Barbra Streisand felt about Celine Dion’s husband’s death without waiting for Entertainment Tonight’s coverage, assuming any of those reporters reached out to Streisand for comment. But then again, why do we care what Streisand thinks? But hey, instant, and high-profile, content, so it’s news. Twitter has also helped reporters quickly find leads on the stuff that fills local daily news, monitor our competitors and post breaking news. Traffic tie-ups. House fires. The name of the latest murder victim as a friend posts an RIP message. Beyond local events, Twitter has also become a forum for massive international events. Journalists watch as active shooters or terrorist attacks unfold minute-by-minute, tweet-by-tweet by eye-witnesses (or those who claim to be). Police, also noticing this trend, are quick to ask the media – and the public – to resist tweeting (or, engaging on any social media platform) in dangerous situations or risk identifying the whereabouts of tactical teams. Twitter has also profoundly shaped world reaction to major news events making “trending” a common term and, at times, a measure of newsworthiness. There’s the lighter trending news. Ellen DeGeneres’ Oscar selfie, actually taken by Bradley Cooper, was retweeted more than 3.3 million times, and racked up 225,000 tweets per minute, a Twitter record in 2014. Besides the celebrity eye candy, that made news. What also made news: Leonardo DiCaprio’s Oscar win this year, which trumped Ellen at 440,000 tweets per minute. More often than not, I’m left figuring out what all One Direction and 5SOS fuss is about, only to realize it’s just another thing happening on Twitter that isn’t really a story, at least not to anyone who isn’t a die-hard boy-band fan. But there’s also the serious stuff. The hashtag #JeSuisCharlie became a global rallying cry after gunmen stormed the satirical magazine Charlie Hebdo in 2015. And, #porteouverte became the ubiquitous signal for where Parisians could find safe haven during last November’s terrorist attacks on that city. Tweet gaffes have also caught fire and sunk many politicians and celebrities. Canadian political hopefuls were bounced from their respective parties during last fall’s federal election over inappropriate – and often old – tweets. Former Florida governor Jeb Bush’s recent ill-advised “America.” missive featuring his monogrammed handgun backfired, helping put an end to his Republican presidential bid. Kanye West’s stream of conscious tweet plea for money made the rapper a public mockery. Those types of Twitter trends are quick to become stories or memes and sometimes the meme is the story. But when New Jersey Governor Chris Christie didn’t tweet anything on Super Tuesday, yet stood behind Republican presidential candidate Donald Trump, his seemingly silent screaming took on a life of its own. Twitter exploded with reaction, and news stories inevitably followed. But as the Poynter Institute rightly questioned, was it a story? Probably not. Not long ago, I received an email about a “cat fight on Twitter” involving two rather well known Canadian female politicians – one federal, the other provincial – both believed to be testing the waters for leadership bids of their respective parties. I got lost in threads debates and never did find the ball of yarn that originally started rolling. It never really did become a story, and rightly so. Some marketing experts prefer Instagram and Facebook to reach their audiences, saying Twitter is on the wane, and its sliding stock prices may suggest the same. Lately, it feels like only journalists are on Twitter in Canada with trending topics of interest to only die-hard news junkies. It’s become a hub for reporters trying to out-funny one another. Heck, I’ve even found myself trending, which is clearly, not a story. Still, even those with the rarefied verified, blue check mark still to get a kick out of follows, retweets and replies from those similarly stationed in the Twitterverse. No other venue would allow me to engage in an intellectual public debate over gun control with children’s entertainer Raffi Cavoukian, whose records I sang along to as a kid, or a claim as a follower Sloan, a band I thought was just the coolest in university. Maybe that’s what a decade of Twitter has done for journalism. It’s a 140-character tool, outlet and equalizer. Now, if only it had an edit function. Dawn Walton is an award winning journalist based in Calgary, Alberta, Canada. Walton currently serves as the Managing Editor of CTV News’ local coverage in Calgary and previously served as a correspondent for The Globe and Mail newspaper. You can interact with Walton on Twitter here. Here, SPJ’s Alex Veeneman revisits Britain’s general election to highlight the best practices of live tweeting and credible reporting on the platform. British Prime Minister David Cameron won a majority in Britain’s recent general election, something that drew a lot of attention on Twitter. May 7, 2015. As the clock struck 5pm on the East Coast, over in the UK, polls closed in the general election, and a predicted exit poll result no one had predicted appeared. David Cameron, whose Conservatives shared a coalition government with the Liberal Democrat party for the last five years, was set to receive almost a majority of seats in the House of Commons. At 7pm ET, as the ballots continued to be counted and results came in through constituencies up and down the UK, my colleague, Current Affairs Editor Kirstie Keate, and I took to Twitter for Kettle Magazine to live tweet election results, as well as examine the implications the results would have on voters, as well as British politics itself. Live tweeting during a developing story or breaking news event consists of the delicate balance of engaging audiences but also informing and adding something of value, something that they can’t get with another platform. In the digital age, the balance of curating a story on Twitter whilst reporting for another platform is something that is trying to be perfected. Monitor sources: In breaking or developing stories, reporting accurate information is crucial. Monitor sources to see the root of information. Try to confirm it, and report on Twitter citing the sources. An honest reporter is a forthright reporter. Plan ahead: Have conversations with the team you’re working with before the night of a live tweeting to develop ideas. What stands out? What can help create value? Bounce ideas off of each other. Not everything has to be set before the coverage develops — you can even bounce ideas while you’re in coverage mode. Kirstie and I had conversations before election night and spoke during, exchanging ideas and discussing angles. Again, not everything has to be set, but its better to have an idea and be ready to adapt that idea for what is ahead. Look at key story elements: Consider key points in a story to evaluate and follow up on. For example, in our general election coverage, Nick Clegg and the Liberal Democrats struggled with the issue of university tuition fees, something they promised to repeal, but instead were raised when they were in a coalition. As they targeted the student vote, the party’s response to fees was something students considered, so their views on election night helped develop an interesting part of the narrative, and helped audience engagement. Be careful when you post: When you are live tweeting, you need to consider the importance of what is posted. Is there value in what you are going to post, or are you posting for the sake of posting? Will that post truly help your audience understand the story better? Consider before you compose. Be honest: You may be working on a different platform, but its still reporting. Be honest with your audience. If you don’t know something, mention the reports and try to confirm it. Report what you know. As I said earlier, an honest reporter is a forthright reporter, and audiences appreciate forthright reporters, for they will come back to you after your coverage is over. By the time our coverage concluded, a small number of constituencies remained, but it was clear — the political landscape in Britain would be changing. The Conservatives would get their majority in the Commons while the Liberal Democrats lost a majority of their seats. In addition, the Labour Party had to figure out their next steps, and the Scottish National Party made significant gains, becoming a force to be reckoned with. One other thing was clear as well. We engaged with our audience in new ways, showing how important Twitter is in not just communicating with audiences, but also in reporting a story, showing the power the social network can have in major events. Though no story is alike, these tips hopefully will allow news organizations and reporters to do one common thing — inform, educate and enlighten audiences, no matter where they are. Outside of SPJ, Veeneman is Long Form Editor and a contributing writer on journalism and media issues for Kettle Magazine, an online publication in the UK. You can interact with Veeneman on Twitter here. Editor’s note: This piece was amended on March 22, 2016 at 9:13pm CT to correct a caption. 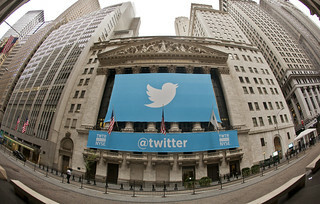 Twitter, in its nearly 10 year existence, has become ubiquitous with live events. It allows users to keep up with friends, family, and especially the media when it comes to life here and now. It has also become quintessential when it comes to breaking news, including covering the shootings Wednesday at a social services center in San Bernardino, a suburb of Los Angeles. As the story broke, Twitter became a way for dissemination of information by news organizations, as well as an attempt to aid reporting for other platforms. As journalists looked for witnesses to the attacks, one Twitter user, who gave the name Marie Christmas on the platform. It later emerged that the user had fabricated information and had not witnessed the attacks, as my SPJ colleague, Ethics Committee chair Andrew Seaman noted on the Code Words blog earlier today. Those who reported her remarks and had broadcast interviews with this individual had fallen for the error, as Steve Buttry of Louisiana State University noted in his blog, and there are still some questions, especially how the user got onto CNN’s Anderson Cooper 360 and how she was vetted. Buttry inquired to CNN about the subject, and a message left with a CNN spokesperson in Los Angeles was not immediately returned. The story served as a reminder of the importance of verification and accuracy. Andie Adams, a digital producer at NBC San Diego (who also oversees communications for SPJ’s Generation J community), said they worked with their colleagues at KNBC in Los Angeles on the social media coverage of the story. Yet, when looking at a breaking news story, that solid source is important. Adams says that accuracy is the big thing in reporting, and that journalists should be careful about false information. As the story unfolded, Twitter and other social media platforms were filled with information on the incident, and the social networks are developing new platforms and tools when it comes to reporting live events. Adams says while the new tools are helpful, the ethics are still crucial, even as you report for platforms beyond social media. Ultimately, the essence of the 5 main journalism questions, who, what, when, where, why and how, still are essential, and Adams says you need to ask what the most important information should be in breaking stories, and what the consequences are for sharing that. Alex Veeneman, a Chicago based SPJ member, is SPJ’s Community Coordinator and blogger for SPJ’s blog network, with a focus on social media trends in journalism as well as British media. Outside of SPJ, Veeneman is Long Form Editor and a contributing writer for Kettle Magazine, an online publication based in the UK. You can interact with Veeneman on Twitter @alex_veeneman.